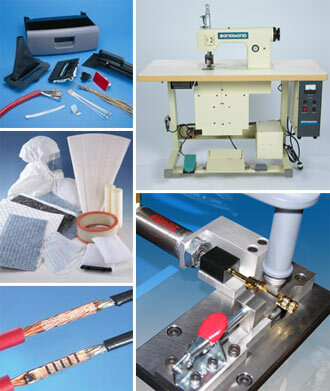 Sample ultrasonic welds are made using materials supplied by prospective customers. Sonobond then recommends the ultrasonic metal welder that is best suited to each company’s particular application. Sample ultrasonic bonds are made using materials supplied by prospective customers. Sonobond then recommends the appropriate ultrasonic bonding equipment to match each firm’s specific needs and requirements. The Company's ultrasonic assembly machinery is used for a wide variety of filtration applications in the automotive, airline, food, paper, pharmaceutical, air & water filtration, liquid absorption, agricultural, petroleum, and environmental fields. The equipment operates four times faster than sewing machines and ten times faster than adhesive machines, is easy to operate and requires minimal training. Forty percent of the booms used by BP in the Gulf Oil Spill were manufactured by Supply Pro of Houston, Texas. The inner polypropylene socks of these booms are assembled using SeamMaster™ SM86 High Profile bonders. These ultrasonic sewing machines create reliable seams that are strong enough to support an eight- or ten-fold increase in weight due to oil absorption. The SonoWeld® 1600 Ultrasonic Digital Metal Spot Welder and Dual Head Ultrasonic Spot Welder are ideal for attaching multiple layers of foil to battery tabs and terminals. In fact, the Dual Head is the only ultrasonic spot welder capable of welding up to 80 layers of foil with just one pulse. 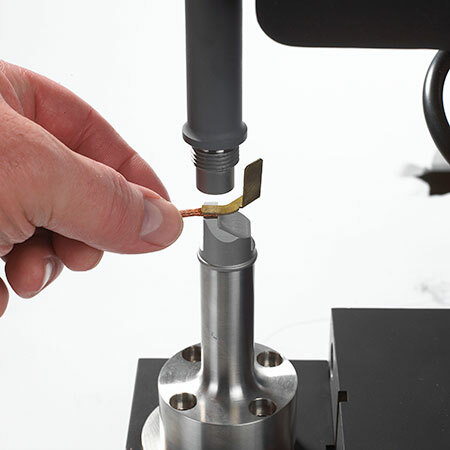 Viewers can watch an ultrasonic weld being made during the 2 1/2-minute presentation. They’ll also learn that Sonobond has the only ultrasonic welding technology able to effectively accommodate wire bundles that are tinned or oxidized. Two Sonobond machines—a SpliceRite™ Ultrasonic Wire Splicer and a SonoWeld® 1600 Ultrasonic Metal Spot Welder—remained operational after a devastating storm demolished the production area of SolaHD’s Rainsville, Alabama facility. 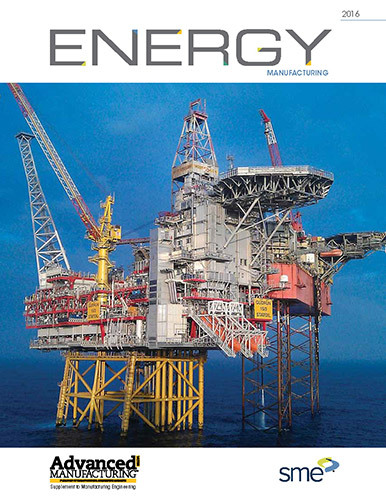 Read the process utilized by the company to ensure welds meet customers' specific application requirements and see Lake Cable and Blue Jeans Cable customization examples. 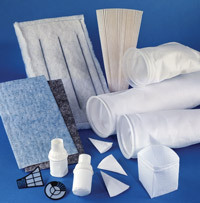 The company produces a wide variety of ultrasonic metal welders and textile/filter assembly equipment. Two of its most unique and popular machines were demonstrated at Assembly Tech Expo 2012. The company's custom-tooled SonoWeld®1600 Ultrasonic Spot Welder is one of Wire Harness & Cable Connector’s top products of 2012. 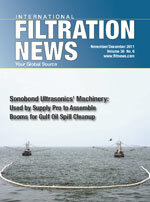 The publication highlights Sonobond’s ability to modify its welder and satisfy unique customer requirements.